Today’s savvy marketers are finding new ways to segment key targets, customer groups and prospects to better connect and engage with their customers. These rich insight repositories are also being used to develop retention campaigns that look to activate customers – and hopefully retain, upsell and even cross-sell to boost revenues. 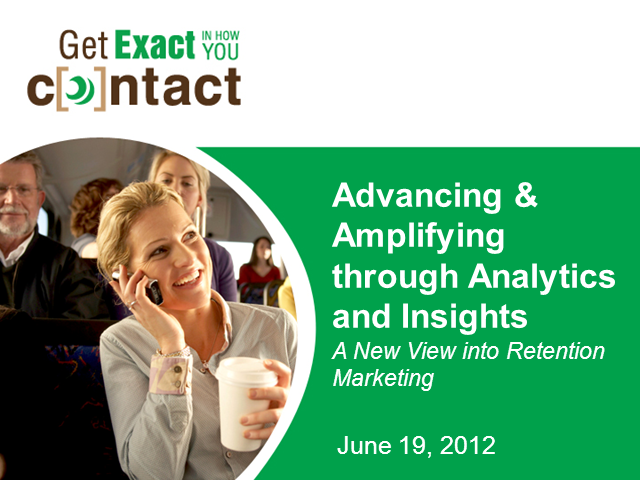 Join the Chief Marketing Officer (CMO) Council and Pitney Bowes in the fourth installment of the Get Exact in How You Contact webinar series, as we host Comcast’s VP of Customer Retention & Loyalty Marketing, Phil Bellaria, as he talks about developing more targeted and effective retention marketing strategies while improving and enhancing the customer experience.